It is that time of year again – many OEM and EMS companies have come out of 2012 looking for ways to lower costs in their supply chain. Purchasing agents, quality managers and business owners have booked their travel to Hong Kong or China in the all mighty search for direct suppliers. So they are off to Asian armed with 5-10 of the 200+ emails they have received from suppliers in Asian – mostly trading companies, and a free ticket to a trade show at the Hong Kong Trade conference center…many of the companies just gathering business cards from new suppliers handing out hordes of brochures and playing Russian Roulette with a new supply chain. Don’t get caught up in new supplier hype as instability is just around the corner. We know, trust us, because it took us 3 years, 10 years ago, to get our Rigid and Flex PCB supply chain in place. After visiting China for more than 1 month each year for 4 years, we finally had in place everything we needed to be successful and to have a world class product. What will most businesses find after a year of “testing new suppliers? 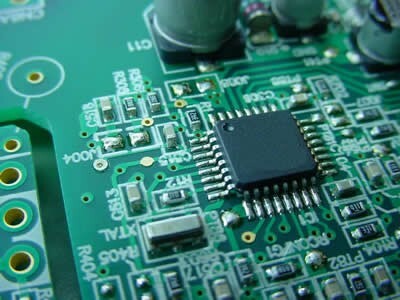 Trading Companies – Most of the PCB suppliers at trade shows and in the emails you receive are not the suppliers. They are “trading companies” quoting your product out to every relative who has ownership in, or an association with a Printed Circuit Board factory. They are not the factory and if one of the factories they know does not do what you want, they will find one that will regardless of their history, skill or quality. So, you end up with a factory that is not familiar to you and your product will end up with someone else’s UL data on it but they have “fabricated” the documentation…well, at least something was fabricated well. No Control Over Your Supply Chain – It can happen with a trading company or being direct with the supplier. If you don’t know them and you don’t spend time at their factory, it is assured they will pull some fast ones that you will never know about until it is too late. The stories we have heard from customers coming to us from direct suppliers and trading companies would amaze the most seasoned business person. No Payment Terms – most suppliers AND trading companies only accept prepay – do you really think your EMS company can handle that hit to cash flow? Customs compliance – Do you know all the requirements you need to have in order to manage customs compliance and all other importing details? Lack of Quality Control – with the many lines of communication, it will be increasingly difficult to manage quality and when they have sent product they don’t want to credit you for, it is no issue to let go of the relationship. No One Ever Says No – this is one of the scariest parts of doing business with unknown Asian suppliers: no one wants to say no to any business. If there is a cousin with a shop, they can do the business or they will find someone who can. Worst of all, they will commit to a lead time just to earn the business…and you won’t have any choice but to wait it out when they are late because you are behind a much larger customer who will get the priority. You can’t start over either because you double your time on the delivery schedule. Credits or Returns – you have paid 100% of the product – so no one wants to take it back. Their margins are thin as it is and a return for them is a loss. Very seldom do you find a supplier willing to give you a credit…you will just wait for the product to be reproduced adding another month to your delivery and eating shipping costs…that is if you are lucky enough to get a reproduction. The list of these potential issues can go on and on. Your customer s hire you for your expertise; you hire us for our expertise. What is it worth to lose your customer base only to shave off 10 or 15% of your costs but your end product assembled and failing in the field could yield 4-5 times the losses.